Bay Tunes Guitars is proud to offer Earthquaker Devices for your pedal interest! Buy with confidence as we are a fully authorized Earthquaker Devices dealer. All purchases from Bay Tunes Guitars ship FREE in the Continental United States. Please reach out to us if you have any questions about this or any other product we carry! Categories: EarthQuaker Devices, Pedals & Accessories. The Dispatch Master V3 is an updated model of the most popular and versatile delay/reverb pedals on the market. Version 3 updates the Dispatch Master with Flexi-Switch technology, which allows for both momentary and latching switching. 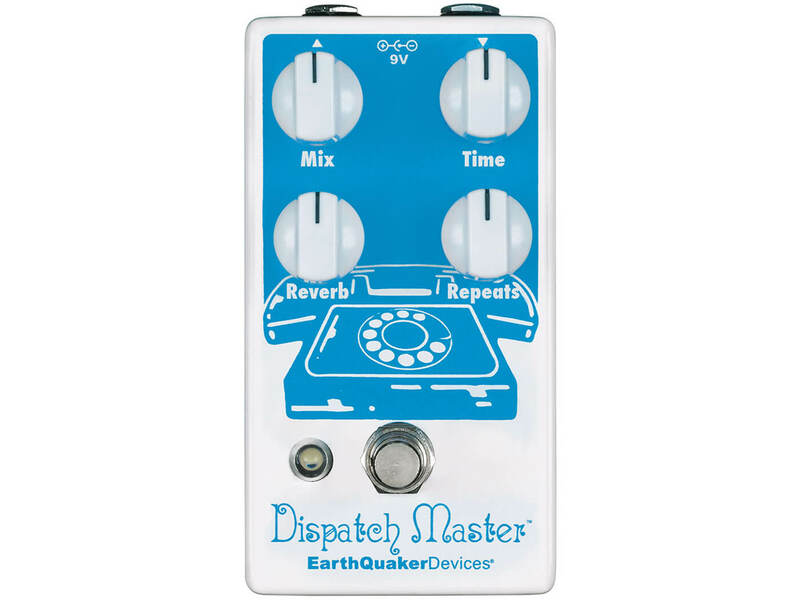 Loved for both its small size and lush sound, the Dispatch Master is capable of producing up to 1.5 seconds of delay time with near-infinite repeats and a cavernous reverb. The delay signal is clear and strong with no after effects or signal degradation and the repeats decay into a nice ambient swell with no oscillation. The Dispatch Master V3 is the perfect pedal for anyone looking to get lost in lush and ethereal soundscapes.